Last December, my boyfriend and I went to Vietnam for a much needed getaway. We flew out of Adelaide airport on the 7th and arrived back on the morning of the 25th (yep, Christmas Day – cheap flights am I right?) While we were away I felt so inspired and motivated to get back into blogging regularly, so I’ve decided to put together a little guide to Vietnam as well as our brief stopovers. I’ve been to Vietnam once before on a school trip but travelling with someone who speaks the language (my boyfriend) was such a different experience! From not getting ripped off, to the way we were treated, to all the things we wouldn’t have been able to do otherwise. Our days consisted of eating, drinking juice and coffee, exploring and spending time with family – it was the perfect getaway after an intense year of work. Touching down in Hong Kong was a relief after what felt like an eternity flying – in reality it was only 9 hours. For our quick stopover we wanted to get out of the airport and see a little bit of what Hong Kong has to offer, as I had never been before. We travelled by sky train out of the airport at around 8pm. The sky was covered in dark clouds, and it was raining lightly. 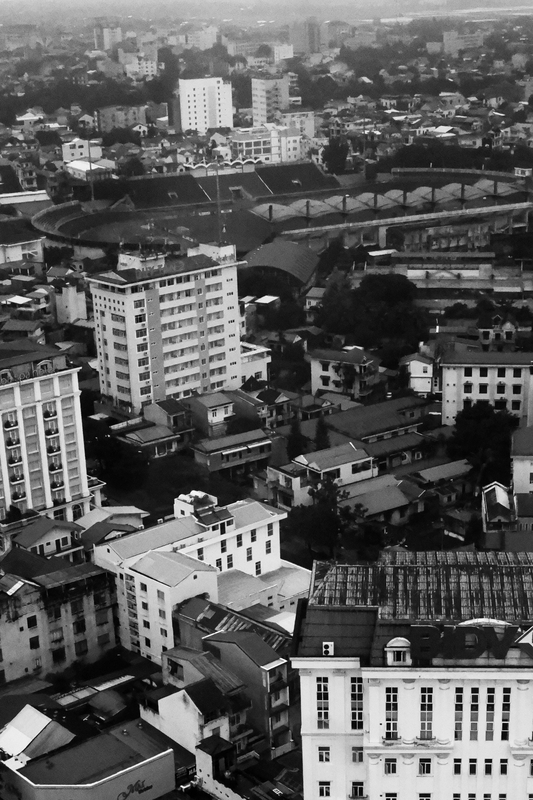 We travelled through the mountains to Central, and caught a glimpse of the city. I’ve never really experienced anything like it: a tropical climate, with an impressive cityscape, reflected in the sky. But being one of the world’s largest shipping ports, it’s also extremely busy. As we travelled through the different areas of Hong Kong, it seemed hard to believe this was all the same place. With only several hours to spend outside of the airport, we decided to keep sheltered from the rain at IFC Mall. We got dinner on the rooftop at Shake Shack (our first time eating here), bought a few things and then stopped by Starbucks – a must since we don’t have any in Adelaide – and I tried their Peppermint Mocha. After a quick taste of Hong Kong, I knew that I’d definitely be back. The perfect post-flight meal – lots of carbs and cheese. And being situated on the rooftop, we were able to watch the city lights reflect onto the fog-covered sky. Decked out in Christmas decorations everywhere we looked, this is one impressive building. From great look out spots, to a wide range of shops, this is one for the list – not to mention the Central station actually opens up to the mall. 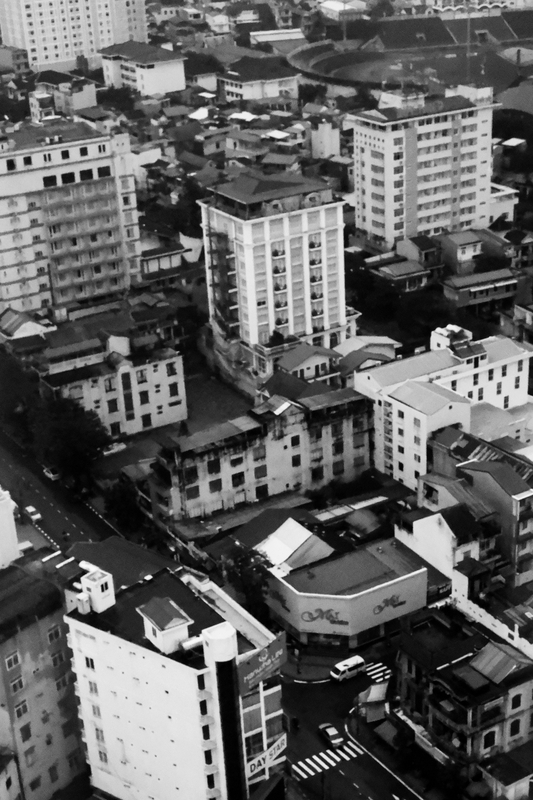 Arriving in Ho Chi Minh City, or Saigon, felt exactly the same as it had 8 years ago. Bustling with people, motorbikes and cars, it’s a fast-paced city, one that can be exciting but also draining. Being the most developed city in Vietnam, we were able to travel around on foot, discovering places as we went – my favourite way to travel. From good food and coffee, to the best markets, shopping centres and little laneways to discover, this was definitely my favourite city we visited in Vietnam. Being my boyfriend’s family’s hometown, we spent four days at the beginning and end of the trip here. It was nice to know anything that we didn’t get to do in the first visit, we could do when we came back. We discovered this little gem with only three days to go and yet we visited it twice. Recommendations include: their Croque Monsieur, a Cappuccino (seriously good coffee), their Kaya Toast and their Mango Lemonde Iced Tea. If the heat’s getting to you, then an ice-cream shop is the place to be. Swensen’s is known for their seriously incredible ice-cream sundaes. Favourites are: Strawberry Super Sundae and Happy Caramel. But in all honesty anything would be amazing. An obvious one, but it has to be on the list. The perfect place to pick up a bargain and souvenirs. If you love knock-off designer then this is the market for you – it’s considerably better than Bến Thành. If you’re a bit of a book nerd like we are, then you’ll love this spot. A multi-level bookstore with an incredible range to choose from, including English. Driving from the airport into Ha Noi, my boyfriend described what we saw as how Ho Chi Minh looked 10 years ago. 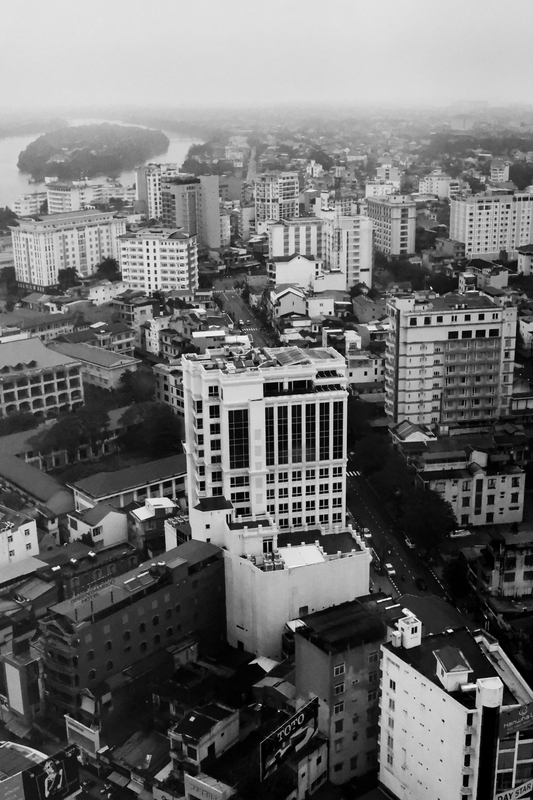 Being less established, Ha Noi was very different to travel around. During our time here and in Hue and Da Nang it rained pretty much non-stop. While we still made the most of our time, I would definitely recommend travelling in their tourist season (April-June). On our first morning in Ha Noi we were treated to a buffet breakfast at our hotel (a first on this trip) and headed out to go exploring. The streets around where we stayed reminded me of Hahndorf (South Australia) – narrow, busy and uneven ground but beautiful. There were tiny shop fronts lining the streets and we stocked up on some winter jackets (I wasn’t prepared for 16° days!) 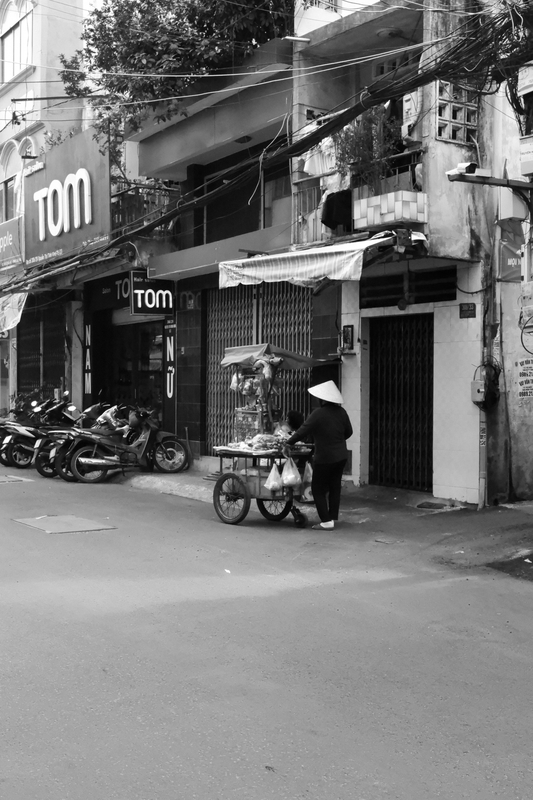 Ha Noi was a beautiful place to explore and you never knew what you would stumble upon (this is how we found everything listed below). We discovered this little coffee spot by chance and knew we had to go in. We sat at the counter and watched as the barista made our coffees with a plunger and a hot plate. The best traditional Vietnamese food we had. A must. An incredible space with equally beautiful designs. I couldn’t help but purchase a linen gown from here and it’s now my favourite dress I own. The people are also incredibly lovely and thankful. On one of our days in Hanoi, we decided to learn a little more about its history and visited this UNESCO World Heritage Site. Here, we got to see many artefacts dating back to between the 6th and 20th Centuries, which were excavated in 2004. This included foundations of old palaces from the days when kings ruled. 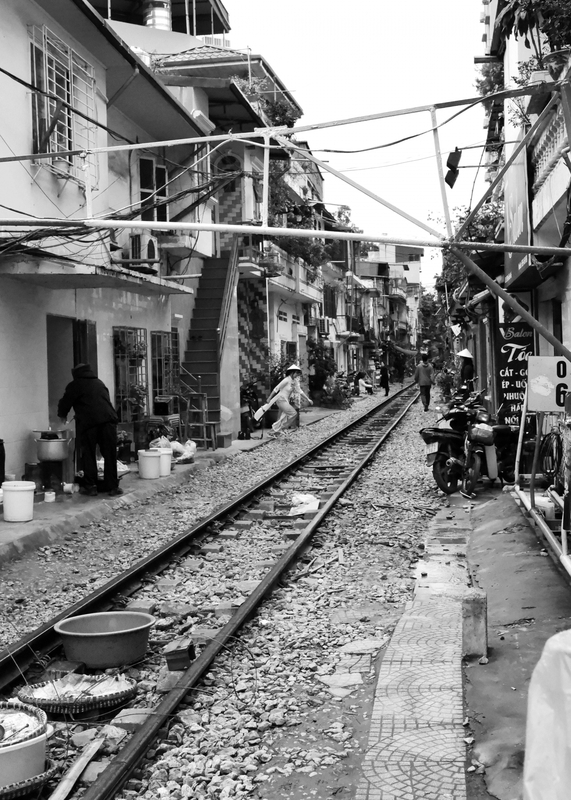 Train Street – Situated between Le Duan and Kham Tien street in Hanoi’s Old Quarter. 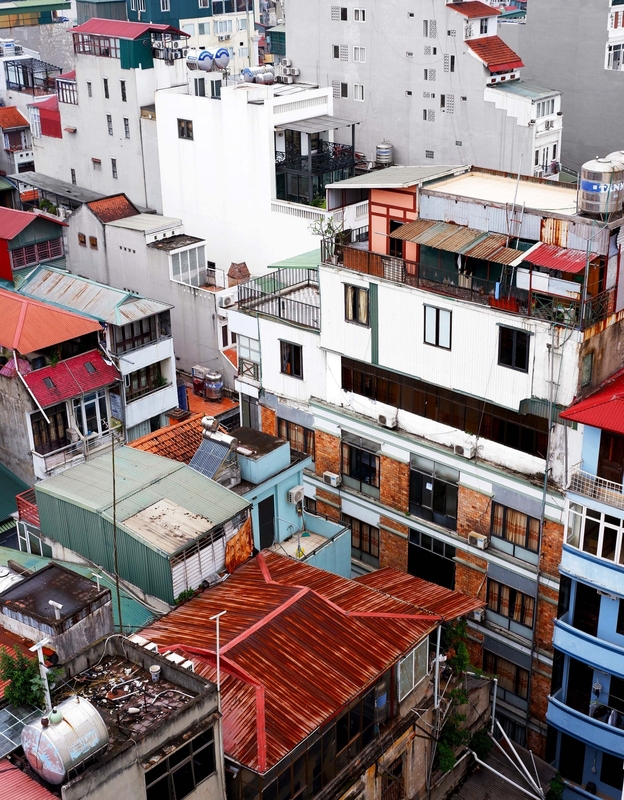 This is one of Hanoi’s most famous streets. It’s extremely narrow, with a train track running down the centre and houses either side (image above). A train comes flying through the area twice a day and residents and tourists have to stand up against the walls of the buildings, out the way of the train. 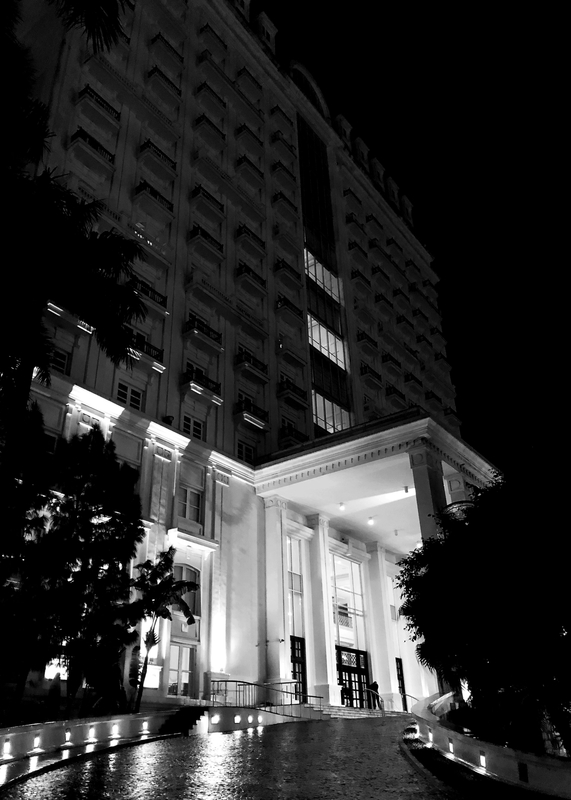 Our first accomodation, Silk Queen Hotel is located on Hang Gai also known as Silk Street – a strip with the highest quality silk materials and apparel in Ha Noi. Hue was the most luxurious part of our trip where we stayed at two beautiful hotels and allowed ourselves to just relax and stay in. 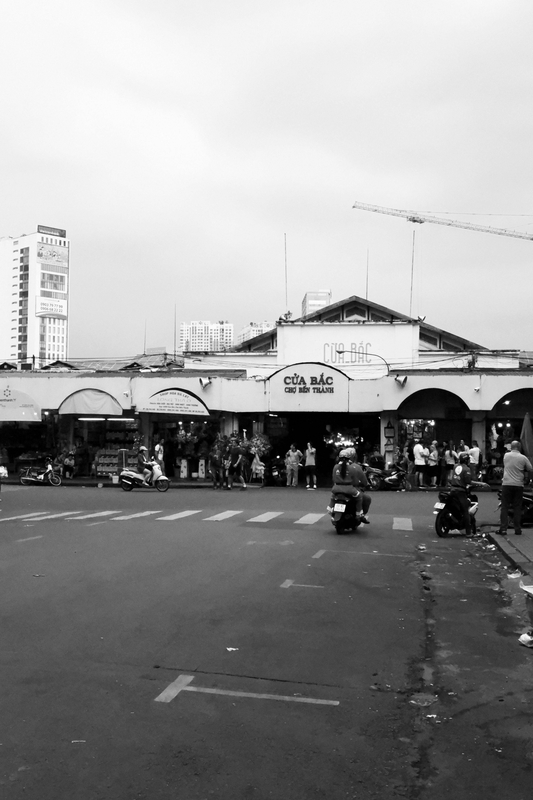 The town was quite sleepy during the day, especially compared with Hanoi and Ho Chi Minh. We discovered some of our favourite food places here, delivering on the comfort food we sought after in the rain. One of our favourite things to do was visit the local supermarket and try asian snacks that we haven’t come across back home. Desperate to escape the rain, we ducked into this place for a quick coffee stop. We tried the fried banana cake and it’s safe to say I could have had two. The best comfort food and without a doubt our favourite dinner place from the whole trip. Would recommend the Hanoi style spring rolls, Bún bò Huế, Pandan Crepes and the hot cocoa – a life changer on a cold rainy night. We celebrated our five year anniversary with the only five star hotel of the trip. From an incredible breakfast buffet each morning, to an outdoor pool and gym facilities, we definitely didn’t want to leave the hotel. We booked into a couples facial, which was such a relaxing and delicate experience, and had a Hue style meal at their own restaurant. The most extravagant hotel I’ve ever stayed in, and I’ll definitely be going back. Our suite had a living area, two bathrooms, complete with a tub, and a bedroom. The view overlooked Hue’s city centre and was in prime location to head out in short bursts to battle the rain. We travelled to Da Nang by the Reunification Express, which delivered some incredible views of countryside living in Vietnam. Once in Da Nang, we pretty much ate 24/7. The rain started to ease here, but we cut our time short to spend more time in Ho Chi Minh with my boyfriend’s family. A very advanced take on our humble Breadtop. We sampled a sunny side up egg coffee, pineapple danish and BBQ pork bun. Desperately missing my favourite cuisine – Italian – we read some great reviews about this restaurant, which was just a five minute walk from our hotel. Would recommend the Limoncello Pizza and Spaghetti Alla Carbonara (a personal favourite). While we were in the area, we wanted to experience fine dining in Vietnam at this restaurant, headed by a Michelin Star-Chef. While the meal is quite expensive, the experience was well worth it, travelling through the InterContinental resort by cable cart to arrive at the restaurant. You can’t go past Pierre Gagnaire selection of desserts! The only good thing about heading home on Christmas Day is picking out your Christmas present on your stopover on the way home. I’ve been to Singapore about 5 times now and I just love it! There’s such a diverse range of cultures that you can immerse yourself in. 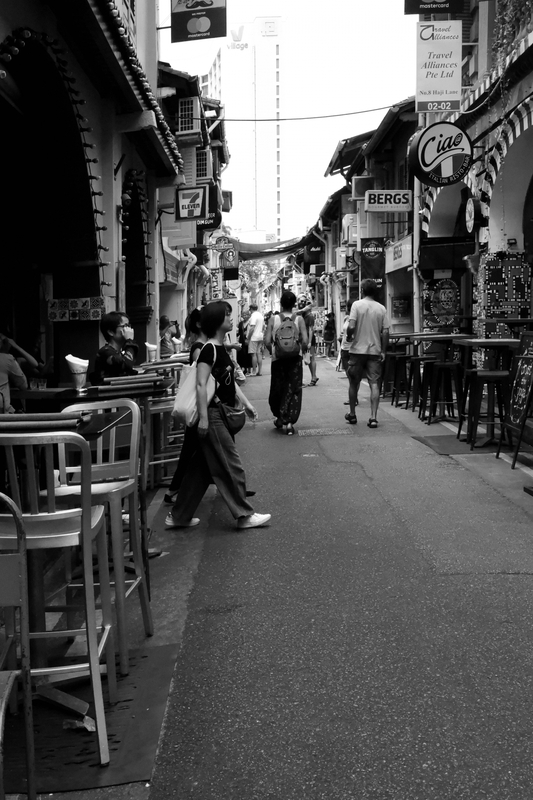 This time we stopped by Haji Lane for the first time, travelling by the MRT. Our time here was short, but long enough to remember how much we love Singapore. Decorated for Christmas, we obviously had to hit the shops for a little bit. If you haven’t been here before, you’ll definitely need a few hours! Having both already visited Singapore before, we found something that we hadn’t done before. At this picturesque lane we visited shops with handmade bits and pieces, enjoyed a Singapore Sling and a slice of rainbow cake bigger than my head.